Mike Schach has worked in the solar PV industry since 1990, and with this extensive and broad based global project experience he is uniquely positioned to provide expert solar consultancy services in advising, developing or constructing large utility scale solar projects. 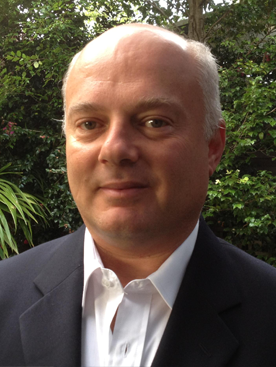 Prior to founding Coronium, Mike was a senior executive with BP Solar Australia and was a member of BP’s global prestigious leadership programme. Having held numerous roles within the company, he has a deep understanding of the many facets of a project life-cycle from development through to project delivery. In addition, Mike was responsible for the integration and technology transfer of BP’s solar module manufacturing plant in Xian, China, acquiring knowledge that is relevant and valuable when evaluating and selecting solar modules today. His earlier project highlights included a wide range of off-grid solar / battery power system applications for the telecommunications industry and rural community advancement, the Sydney Olympics 2000 Athletes Village which was the first (at scale) on-grid connected PV systems in Australia, and the Shenzhen Green Gardens project - the first grid-connected MW solar project in China. In 2009, when the first opportunities for utility scale projects in Australia emerged, Mike was a key member of the Large Scale Projects Team including winning Solar Flagship’s 150MW Moree Solar Farm. He led the entire EPC activity which included the overall technical strategy, safety in design, cost optimisation, contractor validation and supplier negotiation. Since establishing Coronium in 2012, Mike has succeeded in building the Coronium brand to become one of the most recognised and desired solar consultancy firms in Australia. He has the unique ability and experience to operate from grass roots level through to representation at high level meetings. Mike has a BSc in Electronic and Electrical Engineering from the University of Cape Town.